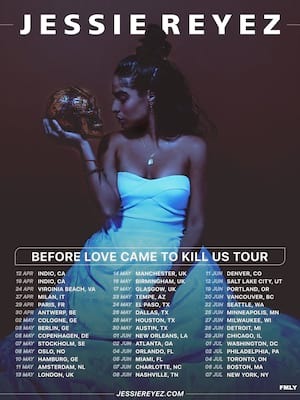 Jessie Reyez hits the road with Being Human On Tour! 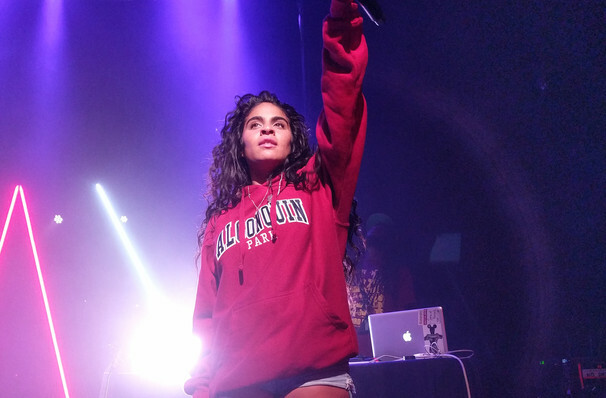 Following her appearance on Eminem's latest album, Canadian singer-songwriter Jessie Reyez is hitting the road with her Being Human On Tour. Visiting 30 cities along the way, the tour will see Reyez on the road throughout October and November. Make sure you don't miss this rising sensation when she comes your city. The tour is in support of her upcoming EP, Being Human In Public. Expect to hear singles 'Apple Juice', 'Sola' and the recently released 'F*** Being Friends'. 2014 saw Jessica Reyez's name appear on singles across the nation. Two years later, Reyez released the singles 'Figures' and 'Shutter Island', which later earned her a nomination for Fan Fave Video. A year later, Reyez released her debut EP, Kiddo. This year saw Reyez win the Juno Award for Breakthrough Artist of the Year at the Juno Awards of 2018, and recently collaborating with Eminem on tracks 'Good Guy' and 'Nice Guy'. Seen Jessie Reyez? Loved it? Hated it? Sound good to you? Share this page on social media and let your friends know about Jessie Reyez at L'Astral. Please note: All prices are listed in US Dollars (USD). The term L'Astral and/or Jessie Reyez as well as all associated graphics, logos, and/or other trademarks, tradenames or copyrights are the property of the L'Astral and/or Jessie Reyez and are used herein for factual descriptive purposes only. We are in no way associated with or authorized by the L'Astral and/or Jessie Reyez and neither that entity nor any of its affiliates have licensed or endorsed us to sell tickets, goods and or services in conjunction with their events.